In the 1950s, Alain Resnais and Chris Marker ran in the same circles as the French New Wave — Godard, Truffaut, Varda — but as part of the Left Bank Cinema Movement they made more politically charged films, decidedly alienating their work from the entertainment industry. Their short film, Statues Also Die (1953), later to be described by the famed film critic Jonathan Rosenbaum as “a combination of speculative art history, precise journalism, and a grim meditation on the various places and functions Africa and its separate cultures have assumed within white civilization,” was originally censored for 15 years because of its firm anticolonial stance. 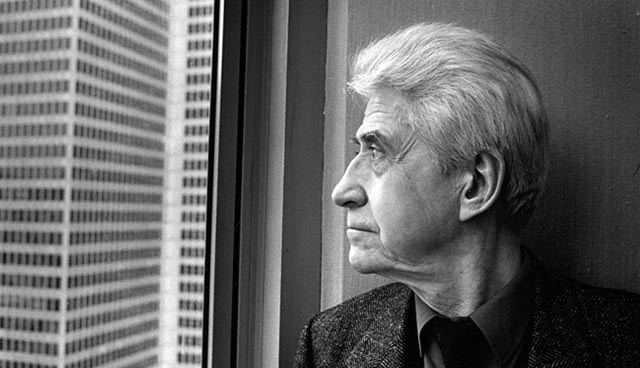 It should be noted as well that on March 1, 2014, just after his 50th film Life of Riley (2014) won the Alfred Bauer Prize at the Berlin International Film Festival for “opening new perspectives in cinematic art,” Alain Resnais died at the age of 91. His death came a year and a half after Statues’ co-director Chris Marker’s in July 2012. Together, they contributed more than 1oo films to movie history including Night and Fog (Resnais 1955), Hiroshima mon amour (Resnais 1959), Le Jetée (Marker 1962), and Sans Soleil (1983). As part of A Riff on the Rif: In the Spirit of the Cinematheque Tangier, the Walker Cinema will be screening a short film series on Saturday March 29 called Censorship in Colonial France: Returning the Gaze. The program starts with the aforementioned super rare 35mm print of Statues Also Die, followed directly by a digital screening of René Vautier’s Afrique 50 — another French anticolonialism film which suffered a 40-year ban and for which the director was sentenced to a year in prison. Additionally, the films will be followed by a short documentary/interview with the director René Vautier called Sand and Blood, and Associate Professor Joёlle Vitiello of Macalester College will be introducing the films. The Walker Cinema is one of the last places in the Twin Cities with both 35mm and DCP technology. Come join us for this once-in-a-lifetime occasion.